BMI Calculator, How to calculate Body Mass Index? Are you at perfect and healthy state? BMI Can help you determine your health status. Enter your height and weight to know your Body Mass Index(BMI). Enter Your Weight in Kg. ==> Now, Know your Real Physical Age? Following chart shows where do you stand in terms of healthiness. BMI should be less than 24. 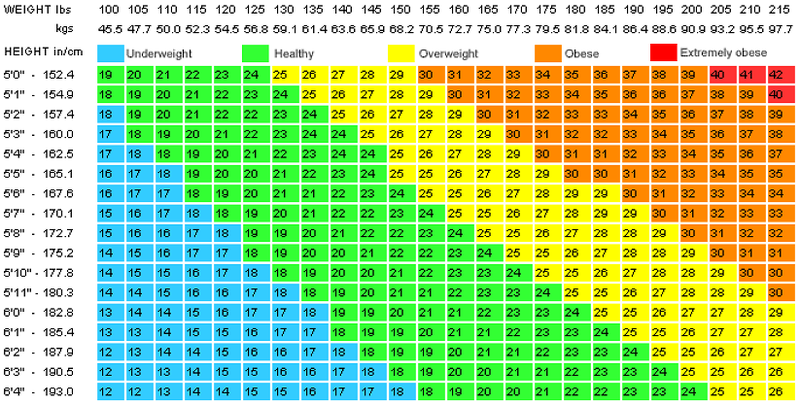 This chart will help you out to determine your BMI number.